Our partners, The Marketing Arm, called with a fantastic opportunity to build the world’s largest Easter egg hunt! 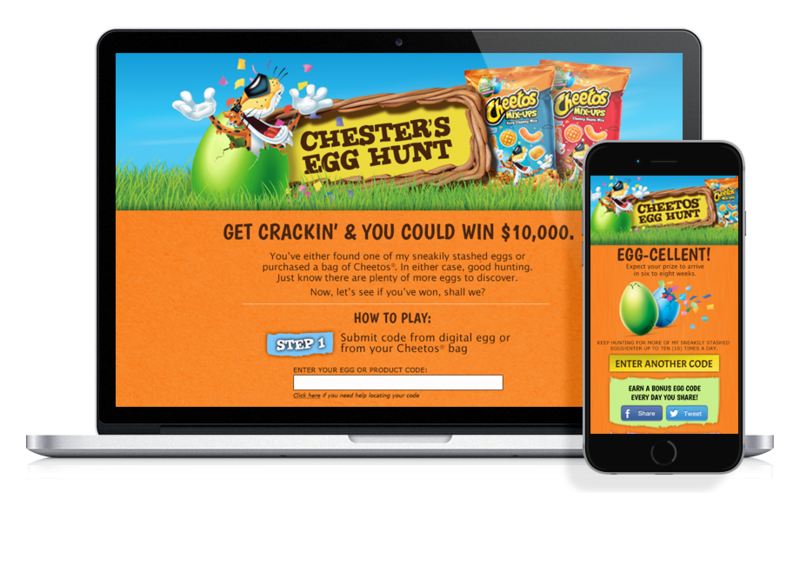 This digital experience allowed users to “hunt” egg codes found on bags, social media, and the brand website. These codes were then collected in a digital “basket” for both instant win and sweepstakes rewards. Our custom portal integrated fulfillment, age, and captcha verification. Our goal was 100,000 game plays. The final tally hit over 800,000. Why settle for a goal when you can shatter it?